A teary-eyed Israel, headed by the Shalit family, welcomed Gilad back home to Israel after 1,941 days in terrorist captivity. 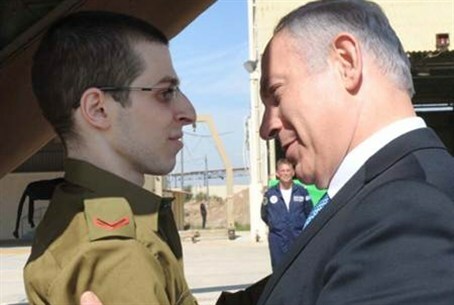 A teary-eyed Israel, headed by the Shalit family, welcomed Gilad back home to Israel Tuesday after 1,941 days in captivity at the hands of Hamas and allied terrorists, some of whom continued to urge more kidnappings. He is undergoing medical tests before returning to his family home in the Galilee. Yehiye Sinwar, who was freed by Israel after being sentenced for kidnapping and killing two soldiers, told Hamas television, "We shall spare no efforts to liberate the rest of our brothers and sisters. We urge the Al Qassam Brigades to kidnap more soldiers to exchange them for the freedom of our loved ones who are still behind bars".